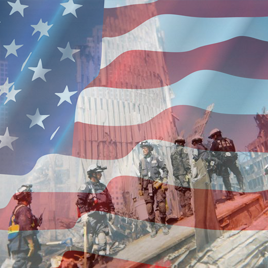 At this special time think positive thoughts and say a prayer for the family, friends and members who died on that frightening day 12 years ago. Remember our own members of MATF 1 who have suffered the ill effects brought on by their exposure on the “pile” that once was the World Trade Center. For all the new members of our team – welcome! You have the opportunity of working with some of the best people in our business. God Bless you all, and God Bless America!